Your pizza time will never be the same again. Don't you just love a good music box? It takes you on a journey down memory lane back to the days when we used to enjoy music without anything digital. What if it comes in the form of a pizza box? One of Malaysia's favourite pizza chains, Pizza Hut Malaysia, has introduced a new way to enjoy your pizza. The franchise wants to elevate the overall experience of pizza lovers by providing entertainment with each bite. Since food and music are two of the biggest parts of Malaysian culture, why not combine both of the things we are passionate about? 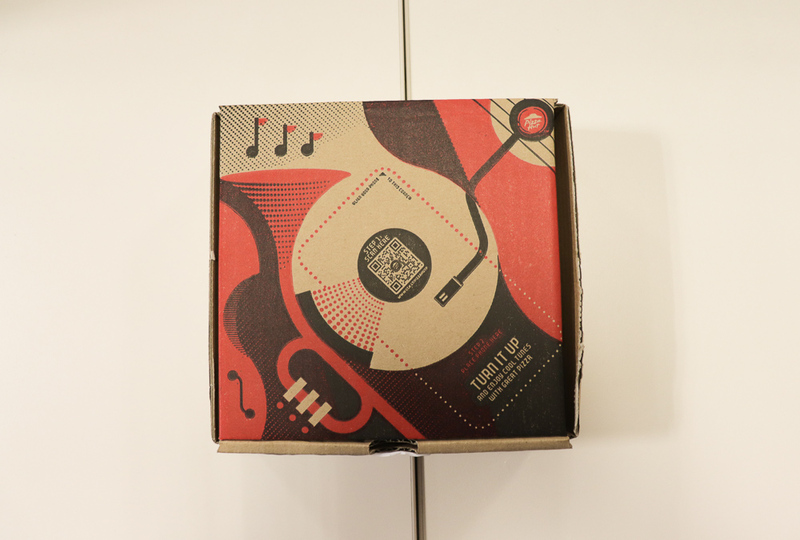 In this campaign, you will see the typical pizza box transformed into a music box that features an exclusive music playlist with up to 200 songs. 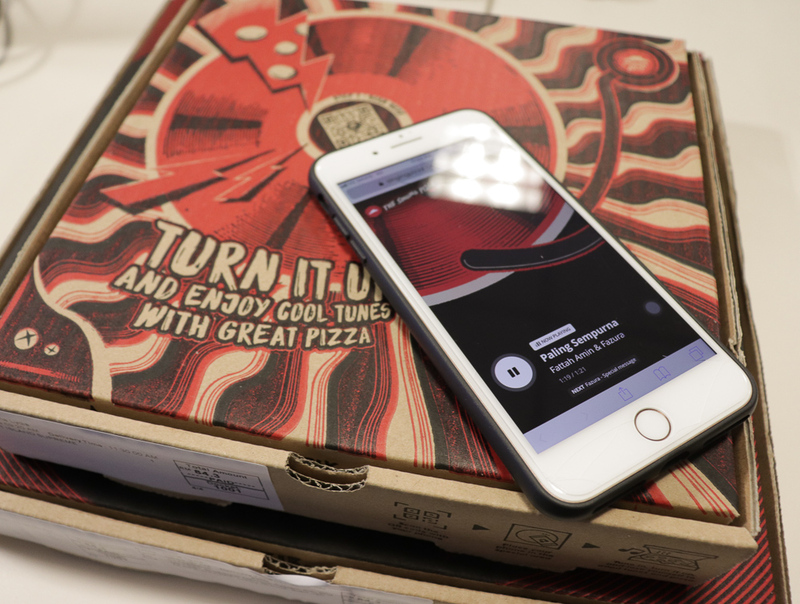 'The Singing Pizza' is a joint partnership between Pizza Hut and Universal Music Malaysia, taking pizza fans' enjoyment to the next level. The playlist will be updated every two weeks, starting with "Paling Sempurna" by Fattah Amin and Fazura. There will also be top trending and unreleased tracks exclusively by local artists like Alvin Chong, Zaim, Shalma and Aman Ra. What we love most about 'The Singing Pizza' is not only the music, but the vibrant designs on the box that is perfect as collectibles! Just make sure you clean up the insides of the box before storing them in your house somewhere, we don't encourage unsanitary collections. 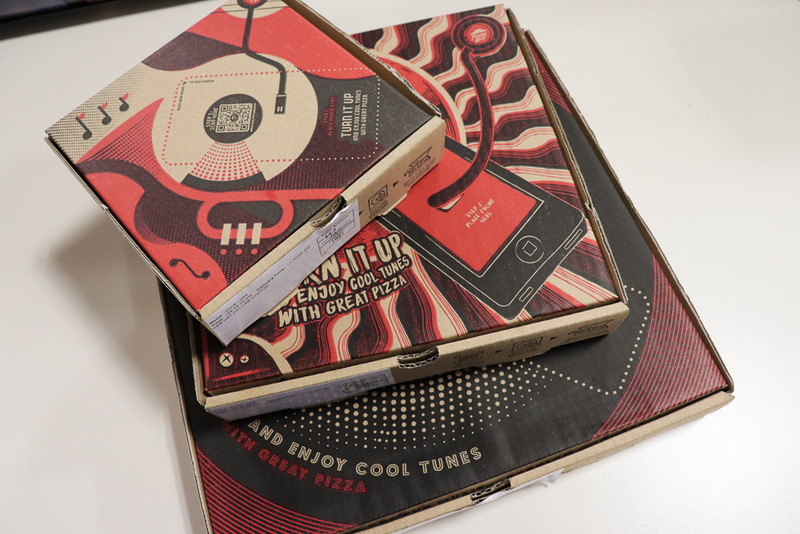 To be honest, we initially thought that the pizza box itself comes with a battery-powered mini music box of some sort inside. But it is much more innovative then that! 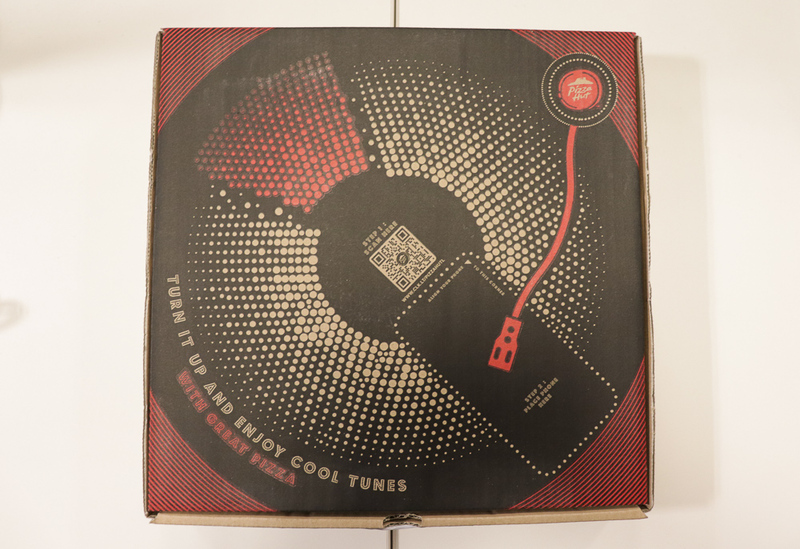 The steps are pretty simple: All you need to do is scan the QR code on the box, place your phone on top, follow the instructions, press 'Start' and you'll have your very own singing pizza box! It reminds us of a vinyl record player, don't you agree? 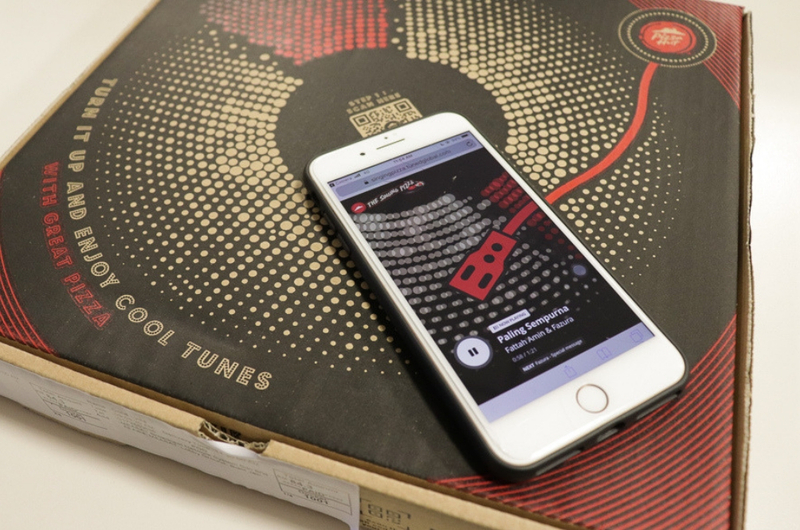 Besides getting 'The Singing Pizza' when you order takeaway or delivery, there will also be a special QR code placed at Pizza Hut outlets for customers who wish to dine-in, scan and listen to the exclusive playlist whilst feasting. So, wait no further and visit the nearest Pizza Hut restaurant from now until December! 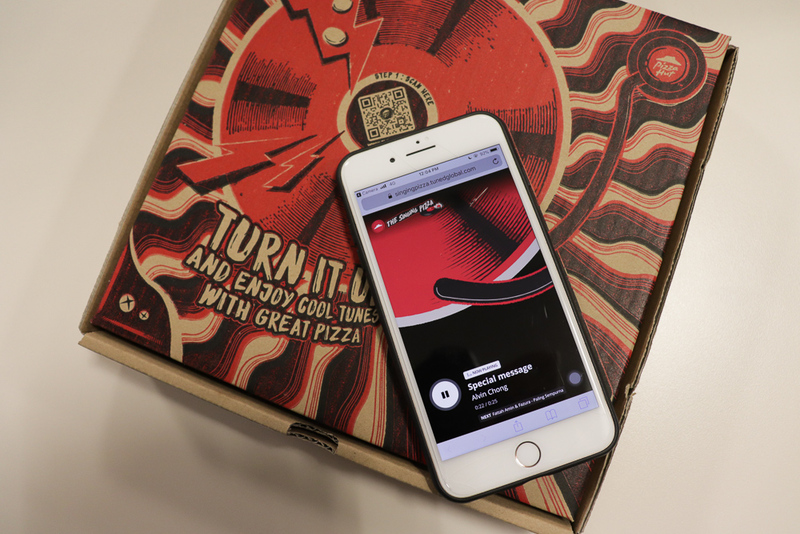 For more information on 'The Singing Pizza', you can head over to Pizza Hut's website.